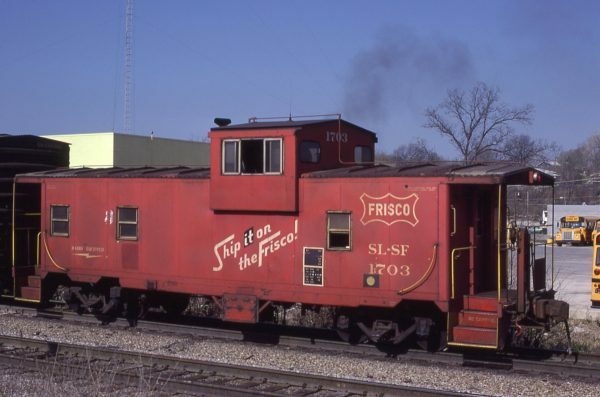 Caboose 1703 at Merriam, Kansas on April 19, 1980 (John Benson). 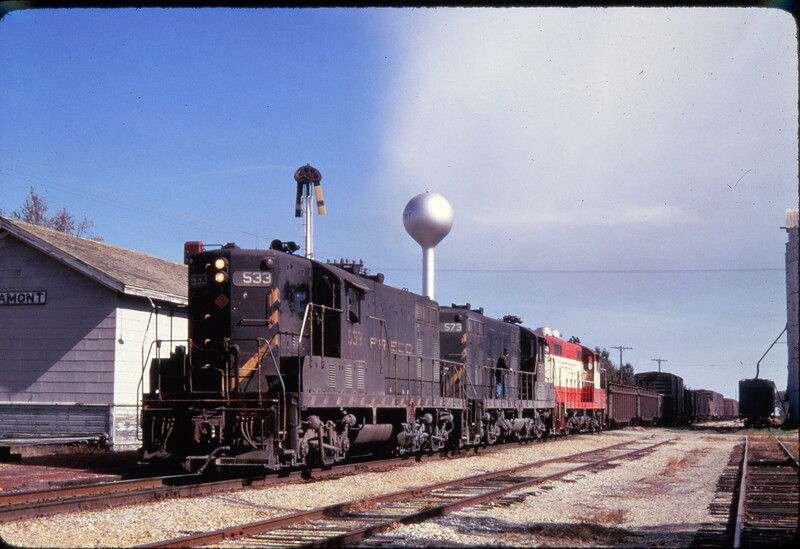 GP7s 533 and 573 at Altamont, Kansas in December 1969. The third unit is unidentified. (Golden Spike Productions).